The very slightest kind of don. And more than that, at twenty-four. And go full pelt for Norman fonts. Above the mellow college walls. He settles down to Norman fonts. When you replace a square with four smaller squares, each a quarter the size of the original, the smaller squares occupy the same area, because 4 * ¼ = 1. If you discard one sub-square, then divide each of the three remaining sub-squares into four sub-sub-square, discard one sub-sub-quare and repeat, you create fractals like those I looked at in Squaring and Paring. The fractals stay within a fixed boundary. 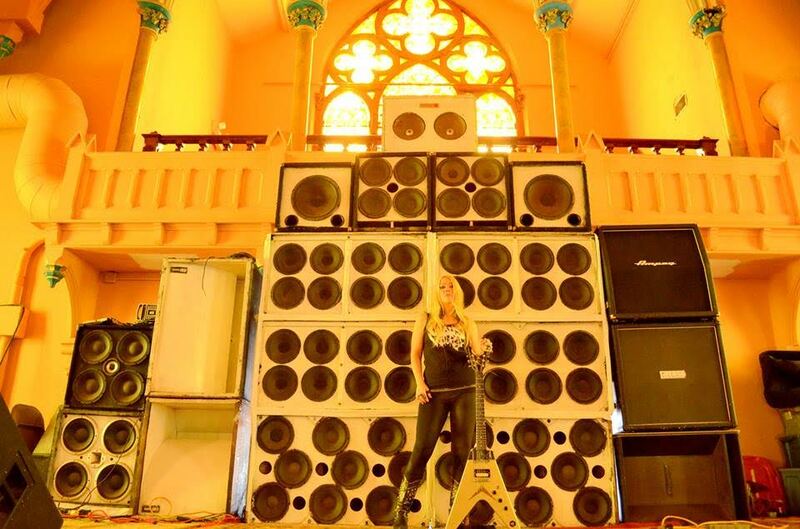 “Noise” may have an interesting etymology. Some think it comes from “nausea”, which itself comes from Greek naus, meaning “ship”. Neither the putative etymology of “noise” nor the undisputed etymology of “nausea” would have been news to J.R.R. Tolkien. He was, after all, a professional scholar of literature and languages. He heard behind his head a creaking and scraping. … There was a shriek and the light vanished. In the dark there was a snarling. There was a bubbling, and then silence. It’s crisper, clearer and doesn’t strike an ugly twentieth-century note in an archaic setting. And it should have been what J.R.R. Tolkien wrote in the first place. I don’t know why he didn’t and I don’t know why his editors or those who read early drafts of Lord of the Rings didn’t point out his error. That’s why I’d like to visit the Library of Babel and find a copy of Lord of the Rings written by Clark Ashton Smith. Squares are often thought to be the most boring of all shapes. Yet every square holds a stunning secret – something that in legend prompted a mathematical cult to murder a traitor. If each side of a square is one unit long, how long is the square’s diagonal, that is, the line from one corner to the opposite corner? A modern story, unattested in ancient records, says that the irrationality of √2 was a closely guarded secret in the Pythagorean cult. When Hippasus of Metapontum betrayed the secret, he was drowned at sea by enraged fellow cultists. Apocryphal or not, the story shows that squares aren’t so boring after all. Military glory! It was a dream that century after century had seized on men’s imaginations and set their blood on fire. Trumpets, plumes, chargers, the pomp of war, the excitement of combat, the exultation of victory – the mixture was intoxicating indeed. To command great armies, to perform deeds of valour, to ride victorious through flower-strewn streets, to be heroic, magnificent, famous – such were the visions that danced before men’s eyes as they turned eagerly to war. It was not a dream for the common man. War was an aristocratic trade, and military glory reserved for nobles and princes. Glittering squadrons of cavalry, long lines of infantry, wheeling obediently on the parade-ground, ministered to the lust both for power and for display. Courage was esteemed the essential military quality and held to be a virtue exclusive to aristocrats. Were they not educated to courage, trained, as no common man was trained, by years of practice in dangerous sports? They glorified courage, called it valour and worshipped it, believed battles were won by valour, saw war in terms of valour as the supreme adventure. But Woodham-Smith is a more masculine writer than Strachey: more serious, more sober and much more at home with military affairs. It would be wrong to call The Reason Why a pleasure to read, because although it is often is, it treats of horrors both on the battlefield and in civilian life. The Irish Famine played its part in forging the character of Lord Lucan, one of the chief figures in “The Story of the Fatal Charge of the Light Brigade”, as the subtitle of a modern re-issue of the book puts it. Woodham-Smith later wrote a book called The Great Hunger (1962) about the Famine, but I’m reluctant to read it: what she describes here is horrible enough. I have, however, read her biography Florence Nightingale (1950), the book that began her career amid an explosion of plaudits. I was disappointed, just as I was by Strachey’s Queen Victoria (1921). Both writers set such high standards in their best work that the rest of it can suffer by comparison. And history is difficult to write well. Against that, however, are the gifts it offers its practitioners: the wholly improbable situations that no writer of fiction could expect his readers to swallow. The Charge of the Light Brigade was like that. Who would invent a concatenation of incompetence, misinterpretation and personal enmity that sends a brigade of cavalry charging down an occupied valley against a battery of artillery? But the charge occupies little space in this book, just as it did in the War and the history of the Victorian Age. Woodham-Smith magisterially sets the stage for 232 pages, describing the horrors of the war, the incompetence of the officers, and the courage of the troops that enabled some improbable victories against overwhelming odds. Then she devotes a single chapter to the charge. It was both horrible and glorious, representing both the worst and the best of the British army in Victorian times. And the army represented both the worst and the best of Victorian Britain. Like Eric Ambler, Woodham-Smith can re-create a complex world and its participants on paper. And like Ambler, she is sympathetic to all her characters, from the best to the worst. Strachey mocks and subverts in Eminent Victorians, partly because that was in his nature as a homosexual outsider and partly because he blamed the horrors of the First World War on the legacy of the Victorians. By 1953, when The Reason Why was published, that legacy was much further in the past, many reforms had taken place, and a second, and much less senseless, world war had been fought by Britain and her allies. Woodham-Smith could be more objective than Strachey. Moreover, men like Lord Cardigan hardly need a satirical or subversive pen: his absurdities speak for themselves. But if you want a humorous take on the Charge of the Light Brigade, I recommend George MacDonald-Fraser’s Flashman at the Charge (1973), in which the bully, coward and liar Flashman is caught up, wholly against his will, in the two astonishing cavalry actions that took place that day: the Charges of both the Light Brigade and the Heavy Brigade. Neither of them could plausibly be invented by a writer of fiction, but the Charge of the Heavy Brigade was a success, not a tragic farce. That is why it is much less well-remembered. 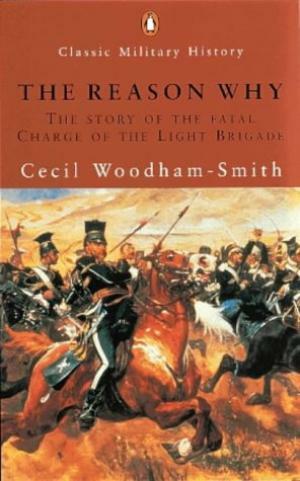 But the Charge of the Light Brigade has never been so well-remembered, or well-explained, as it was by Cecil Woodham-Smith. If you want to know the Reason Why – or the Reasons – then you’ll find them here. You’ll also find an excellent introduction to Victorian England and one of the best military histories ever written.